This autumn will hold so many birthday celebrations for Hartlepool businesses that we can’t ignore that Hartlepool is booming! From cafes to lingerie shops, Hartlepool is celebrating a variety of exciting birthdays. One year on from opening, lingerie shop Bellus Amor Lingerie & Loungewear has made it through to the finals of the ‘lingerie oscars’, Stars Underlines Best Shop Awards. After tackling two break ins and water damage, the only lingerie boutique in the town is looking forward to a night of glam, recognising what a successful year it’s had. The Open Jar on Hartlepool Marina, who is famous for its delicious parmesans, is approaching its second birthday. Word is that the owner, Joe Franks, makes the staff sign a contract to keep their parmo recipe confidential! After the success of The Open Jar, Joe has opened his second business on the Marina, The Woodhouse. The new traditional bar offers cheap and classy drinks to the Marina and offers a new, venue for the town. Poppy’s Hairdressing is celebrating 30 years of business! Janice Auton opened both a Billingham, Stockton and Hartlepool salon initially, but as time went on it’s her Stockton and Hartlepool branches that sparked an amazing turnout. Janice admitted that she still works with clients that she had when she first opened the business in 1988. Thirty years is a remarkable milestone for any business! Daisy & Beas, a family and environmentally friendly cafe, opened last year and is about to celebrate a year of success. Cafe owner, Sara Harvey, has embraced the ongoing environmental work with Plastic Free Hartlepool, and is ensuring the company is using compostable coffee cups, drinking straws and takeout bags. Daisy & Beas is one of the many businesses going plastic free after the recent discovery of the amount of plastic used in companies. 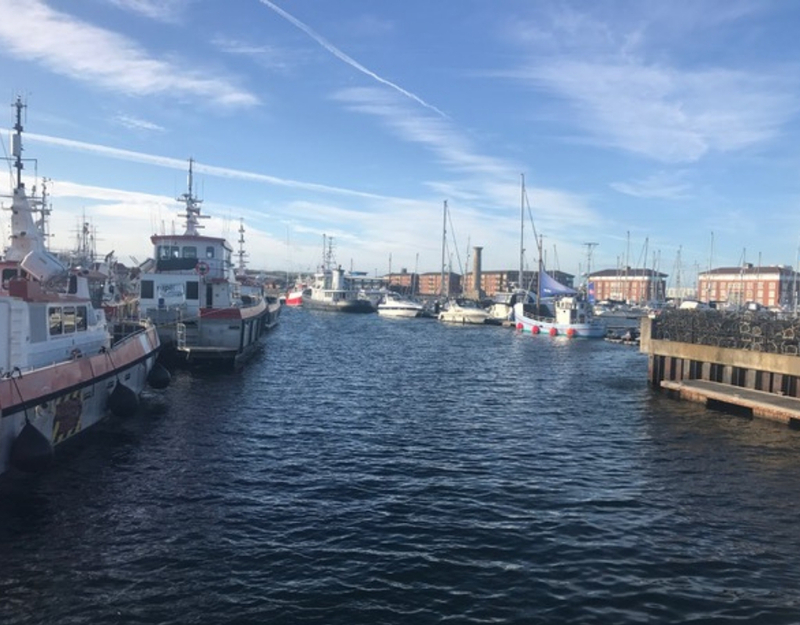 The past couple of month has seen a huge response to the Plastic Free Hartlepool group. With a large response on Facebook, they have pulled together a variety of groups that help clean the town. They are widely known for their campaign for businesses to turn eco-friendly. I myself have been doing a lot of work with Plastic Free Hartlepool myself and have received 10 litter pickers to help conduct clean ups on the Headland. I think all businesses should be aiming to do their bit for the environment! Start small, aim big!